Go abroad as a male or female au pair and stay with your host family in Australia. Look after children, study, travel, meet other young people from all over the world – come back bilingual! Becoming an au pair in Australia is a unique and enriching experience, from which you will come back more mature and with many unforgettable memories. Partir Au Pair signifie discover a new country, a new culture, make new friends from all over the world, perfect your English. It is an international adventure which will be a real plus to add to your CV! You must be responsible, enthousiastic and good with children! You must have experience working with children (outside of your own family) – babysitting, holiday camps etc. PLEASE NOTE: This programme is open to male au pairs. Apply for free: we help you free of charge throughout the entire application process and to put together your dossier. PLEASE NOTE: the payment is made after you have been introduced to a family. PLEASE NOTE: the payment is not made until your placement in a host family has been confirmed. Keep in mind for your budget: the costs of flights to and from Australia, of the Working Holiday Visa (around €280) and of getting insurance. Why become an au pair with AFJ ? Discover the country and learn English while receiving an allowance! The AFJ team is available every day of the week, throughout your entire stay – before, during and after your placement. We help you free of charge to put together your dossier. We will not ask for any payments from you during the application process. We help all of our applicants who would like to prepare for their interview with their prospective families – free of charge! Placements can last between 6 and 12 months. Receive a SIM card and assistance in opening a bank account when you arrive! 1. Sign-up on our website to receive an au pair application form. Click here to sign up! 3. 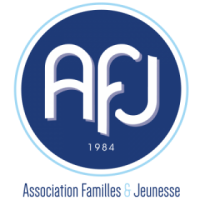 AFJ will send your file to our carefully chosen partner agency abroad. 4. Look through the families’ dossiers and organise a Skype interview with the one which best suits your profile. 5. If the family is equally interested in working with you, sign your au pair placement contract. 6. Take out insurance and get your visa. 8. Make the most of your Australian adventure. 9. Come back more mature and with lots of unforgettable memories! Hoping to focus on your English by taking a language course or finding a job in Australia whilst living with a host family? Discover our Demi-Pair in Australia programme!